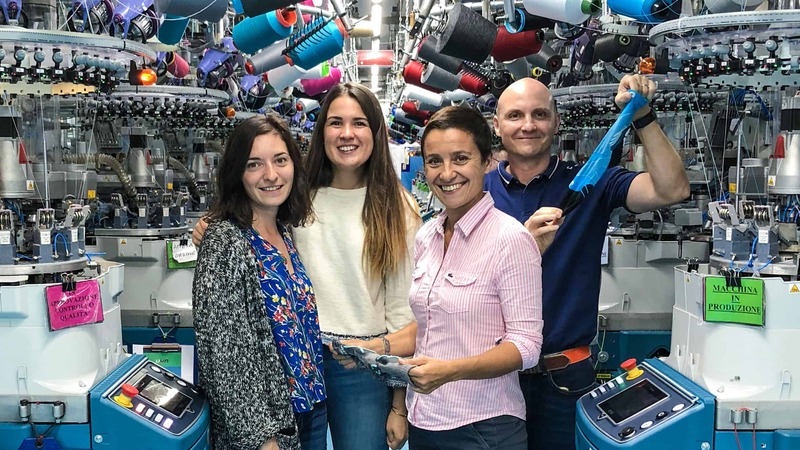 On behalf of Intersport France, Alice Saulnier (Category Manager Skiwear and Accessories) and Alice Lascaux (product manager ski apparel private label) visited our plant in Asola, where they were given an insight into the manufacturing processes of our innovative UYN products. Charlotte Halgrain and Joseph Bouchon, both general managers and sales managers of Trerè Innovation France, were also present. During this meeting, the course for the future cooperation of the Intersport private label was set. We thank you for your visit and look forward to working with you.